The son of the "Climax" singer's ex-wife, Tameka Foster, was removed from life support Saturday at 9 a.m. 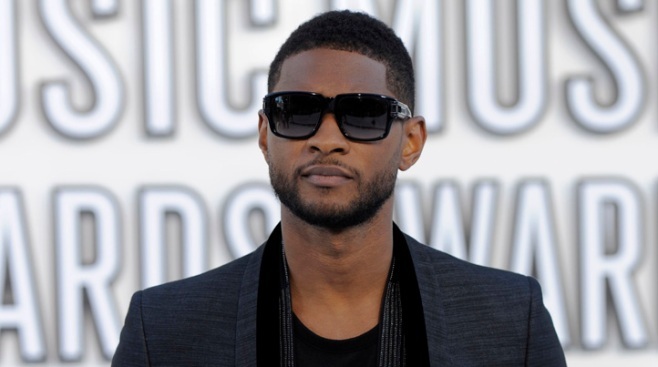 Usher's former stepson, 11-year-old Kile Glover, has passed away following a tragic personal watercraft accident at Lake Lanier in Georgia earlier this month. The son of the "Climax" singer's ex-wife, Tameka Foster, was removed from life support Saturday at 9 a.m., according to the Atlanta Journal-Constitution. Glover was struck in the head by a personal watercraft driver while riding an inner tube on the lake a couple of weeks ago. Police later identified the driver of the watercraft as family friend Jeffrey S. Hubbard. Neither Usher nor Foster has released a statement regarding Glover's death yet, but Foster did tweet a photo of her son Friday morning. Following the sad news of Glover's passing, celebs like Russell Simmons, Justin Bieber and more shared their condolences and prayers for the family via Twitter. Russell Simmons: "I am sending out every prayer I got to Tameka, Ryan, Usher and their family...#RIPKile." Niecy Nash: "God bless this familyRT @GlobalGrind: BREAKING: Tameka Raymond takes her son, Kile Glover off life support... http://bit.ly/LAcq83#wepray"
Eric Benet: "Sending my deepest condolences to Usher and Tameka Raymond..and to family and friends of Kile Glover #RIPKile"
Kim Zolciak: "Prayers to Tameka Raymond and family. NO mother should have to bury their child. Such a sad situation." Toni Braxton: "My heart and prayers are with Tameka &Usher and their families. I'm sorry for your lost, I'm here for both of you. From my family to yours." Scooter Braun: "My prayers go out to ryan glover and tameka raymond. rip kile." Taraji P. Henson: "To lose a child...words can not explain. I witnessed the emptiness in my aunt &uncle's eyes @ my cousin's funeral. Lord have mercy." Lil' Kim: "My condolences &support go out to @TamekaRaymond@UsherRaymondIV #RIPKile"